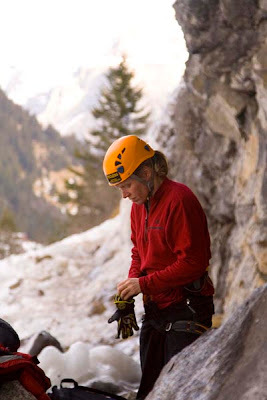 Today Fiona Murray succeeded in a quick (spurless) ascent of Tool Time M10+ at Ueshenen, Switzerland. "Hardest" is a word that we seem to have been using quite a lot recently with our filming and photography, however this ascent is right up there as well. 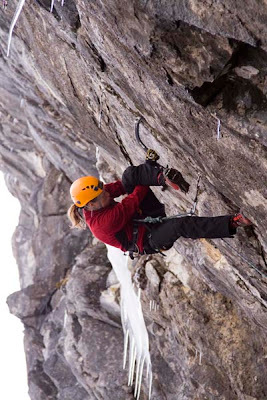 It is not only Fiona's hardest mixed ascent, but also several notches above anything else by British females. 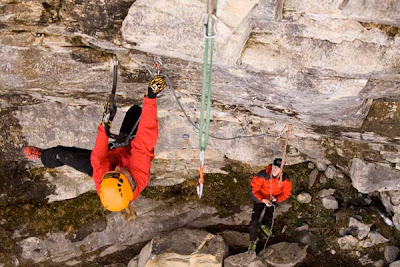 I really don't know where it stands by world standards; in the past there have been female ascents up to M12, but under the modern standard of climbing spurless the top grades are much lower. I'm sure a few must be climbing harder - certainly Ines Papert, but very few. With only three days in Switzerland, red-pointing a hard route was going to be a tall order. After two days of hard mixed climbing we all really needed a rest day, but with only one day left it had to be "send day". 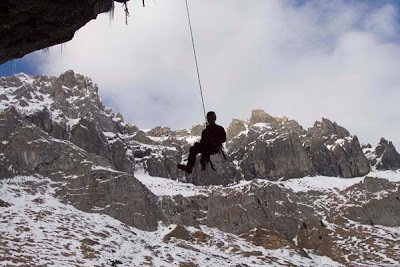 I actually managed to send the route first myself, which is definately not something that should be seen as a precedent by the people we film or photograph, if you are reading this, Dave MacLeod or James Pearson etc.. then don't get any ideas -jumars are our prefered mode of ascent... It nearly killed me, not danger, just the sheer physical effort. Fiona then stepped up and despatched it with far more style and technique. And she's still buzzing now as I write. Next stop, Val Daone, Italy for some competition.